The Oscar nominations announcement was kinda fun and quirky with Oscar nominee Kumail Nanjiani and Tracee Ellis Ross revealing them in some bright room in an undisclosed location, but there were a bunch of surprises. There were a lot of surprises, some interesting additions to the race that we hadn’t really considered before, and a few of the major categories that are completely unpredictable. See what I thought of each category and how my predictions held up (not so great). Reactions: I suspected that 10 would get nominated this year, but we get 8 again. This is a really bad group of nominees overall, but there are some good films on there. Because there aren’t a lot of great movies represented, it is the most wide open Best Picture race in forever. You can make a compelling case for maybe 6 of these to actually win, which is fascinating. The coming month will bring a lot of campaigning and a couple more chances for the producers to give acceptance speeches, but I don’t think we will really have an idea until Oscar night. Even if some movie is sweeping the ceremony, that doesn’t necessarily matter anymore with movies taking home this category with just 1 or 2 additional wins. I have no idea how this shakes out. Reactions: This is ridiculous. I haven’t seen Cold War, but having multiple foreign film nominees in this category is unprecedented. McKay getting in is nauseating, especially snubbing Bradley Cooper, which just wreaks of Ben Affleck’s snub in 2012 for his Best Picture winner. They don’t like actors directing for whatever reason. I had Cooper and Peter Farrelly getting in over Pawlikowski and McKay. I’m not going to beat myself up over that one. That is seriously out of nowhere. Reactions: I had John David Washington getting in over Willem Dafoe, just because no one has really seen that movie. It makes for an interesting race. Malek is the presumed frontrunner, but Bale is closing the gap. Now that Dafoe got the nomination, there could be an overdue card played if enough voters watch the movie in the next month. Reactions: I had Emily Blunt getting in with her doubled SAG nom over non-actor Yalitza Aparicio, but whatever. 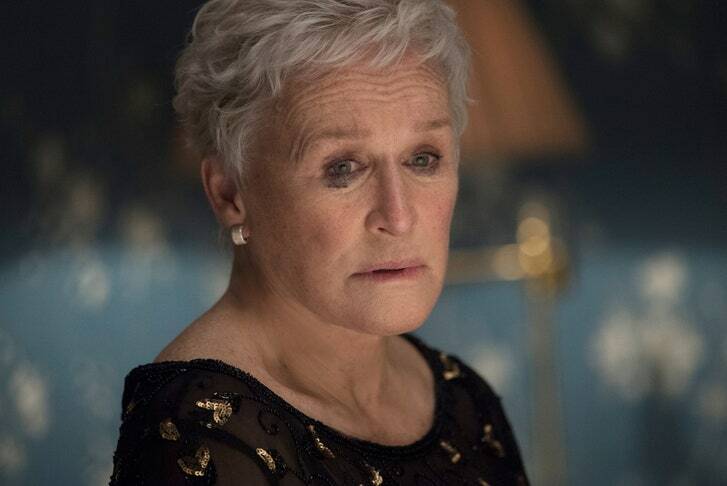 It feels like Glenn Close is going to get her long-deserved award, but Olivia Colman would be awesome and Lady Gaga gives the best performance of the group. She is winning in Original Song, though, so the voters will probably go another direction here. Reactions: I had Michael B. Jordan getting a surprise nomination over Sam Rockwell, whose nomination is an absolute joke. And that is coming from one of his biggest fans. 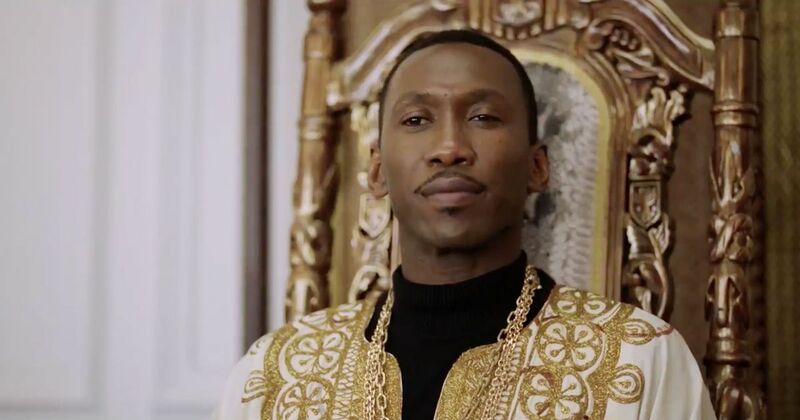 Mahershala Ali hasn’t been beaten yet this season, but the overdue veteran card of Grant and Elliott can change that. 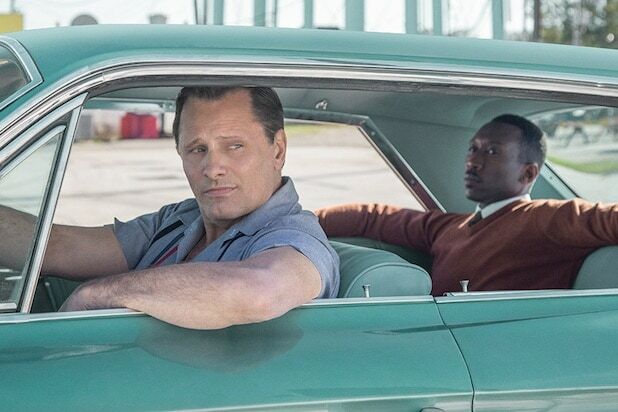 It will need to be a strong push, especially since Green Book doesn’t have a lot of nominations overall or chances to win the categories that they did appear in. Reactions: I had Claire Foy getting in over the random Marina de Tavira. This just shows that the Academy did truly love everything about Roma and they really didn’t like First Man, which I don’t understand. Claire Foy’s performance was magnificent in that movie. This category comes down to the two girls in The Favourite going for a second win, and the great Regina King, who got a couple major snubs but has picked up the two televised awards to this point. Amy Adams…yet another loss, but her nomination total is now up to 6. She has to win one of these times. If Vice is in for a sweep, maybe this can be her time. 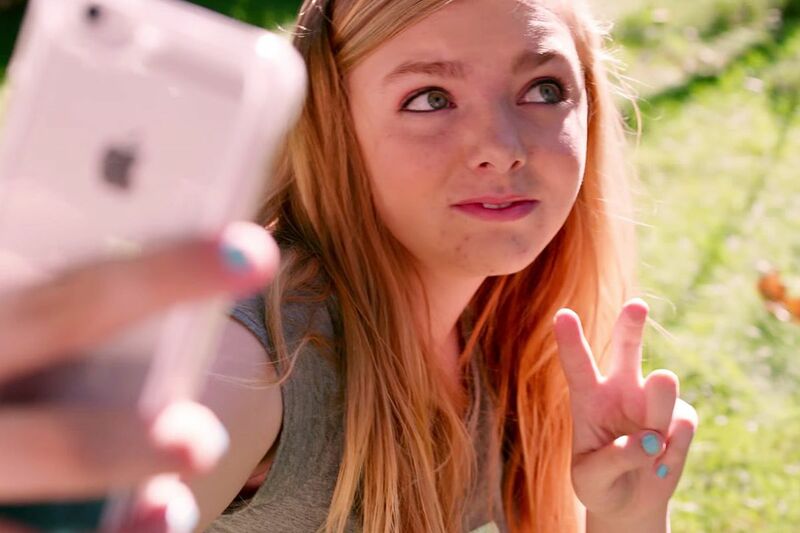 Reactions: I went with my heart and put Eighth Grade in there over First Reformed. I just realized that this is Paul Schrader’s first nomination…yeah no screenplay nomination for Raging Bull or Taxi Driver. And he gets it for this garbage? Ok… Well this category actually has decent competition. The real Best Picture contenders are in this category. In recent years, if the Oscar winner doesn’t have a lot of wins, it at least takes the screenplay award. Reactions: I had Crazy Rich Asians in over Buster Scruggs. It’s almost like the Academy knew that they were going to break the Netflix bias this year, so they just went with it. A funny but lazy anthology movie gets a screenplay nomination over your Best Picture nominee Black Panther? 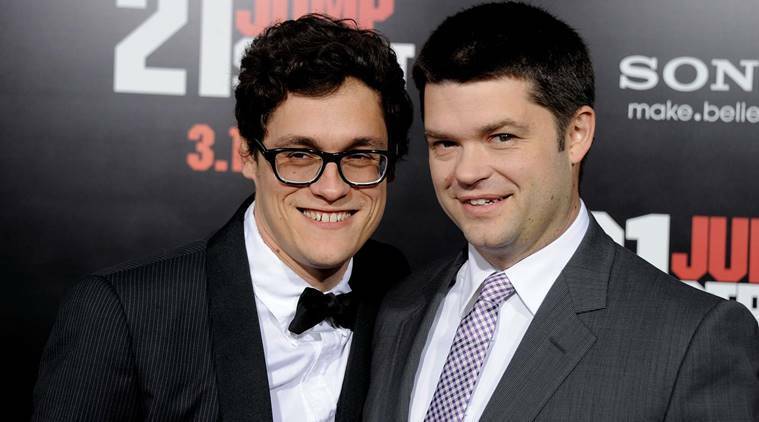 Ok, they really do worship the Coen Brothers. 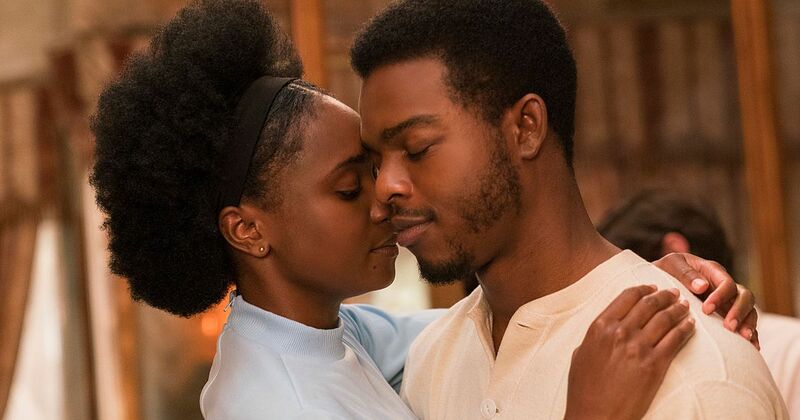 BlacKkKlansman needs to win this to have a shot at Best Picture, however Barry Jenkins crafted something extraordinary in If Beale Street Could Talk, and he gets his second win in this category. Reactions: I had First Man and If Beale Street Could Talk in over Never Look Away and A Star Is Born, both of which are head-scratchers. There are 3 foreign films here, and with the 2 foreign directing nominees, it is almost like the Academy is admitting that American filmmaking isn’t as prestigious or impressive as foreign film. I don’t know where to go here. Cuaron isn’t really a cinematographer, so that might cost him some votes. The Favourite should win, but Cold War has everything going its way. Reactions: Somehow I aced this? 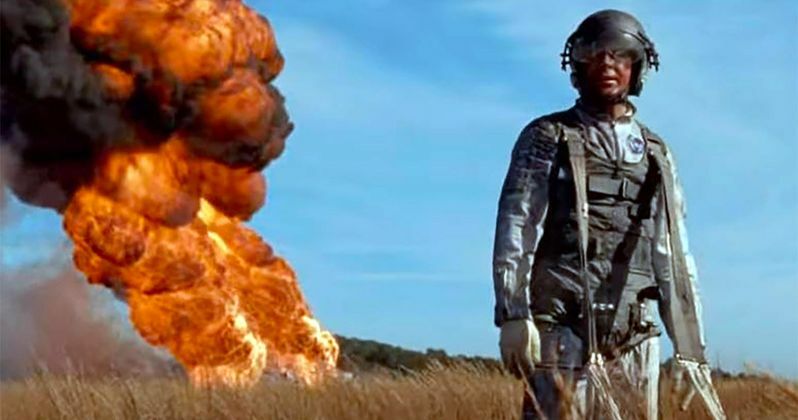 I would say that First Man has this in the bag, but they really snubbed it everywhere else. Reactions: I went with A Quiet Place instead of Roma, which was more wishful thinking than anything else. This is actually a sneaky interesting category. If Bohemian Rhapsody takes this, then look out for Best Picture. This is not a traditional group of nominees for this category. 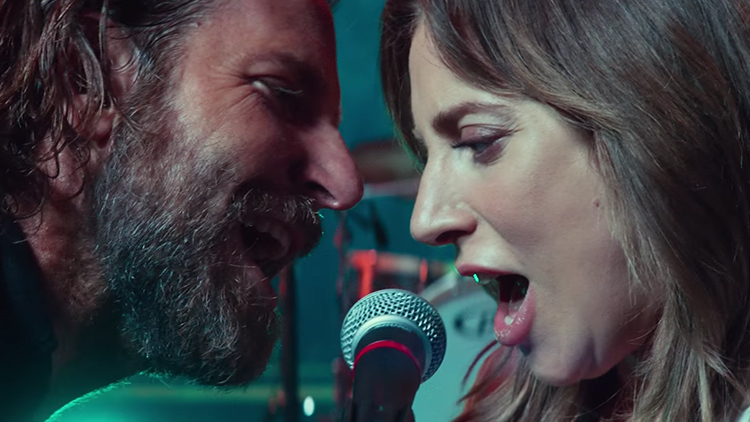 Reactions: I had Roma, First Man, and A Star Is Born in over The Favourite, Vice, and Green Book. Usually, that is until Birdman won in 2014, the Best Picture winner appears in this category. Roma is curiously absent from the list, which implies that the love for it isn’t universal. Also, this prevented Cuaron from getting 5 nominations, which would have been a record. Keep an eye on this category. Hopefully they save this one for later in the ceremony to not tip their hand. Reactions: I went with the action movie Mission: Impossible – Fallout over Roma, which would have been the traditional choice. When a movie like Roma is showing up in a category that usually is reserved for action movies, you know it’s a real contender. It feels a bit like Slumdog Millionaire, which had similar pedigree going into the Oscars. Reactions: So, Black Panther is one of the 8 best movies of the year, but it wasn’t one of the 10 best screenplays, it wasn’t one of the 5 best directed, and it’s a superhero movie, but it wasn’t one of the 5 best in visual effects. But it was that good? Sure, I’m convinced. I had that and Mary Poppins over Christopher Robin and Solo, both of which are ridiculous for getting in. Reactions: I don’t know what Border is. I had Black Panther in that spot. This is already over. 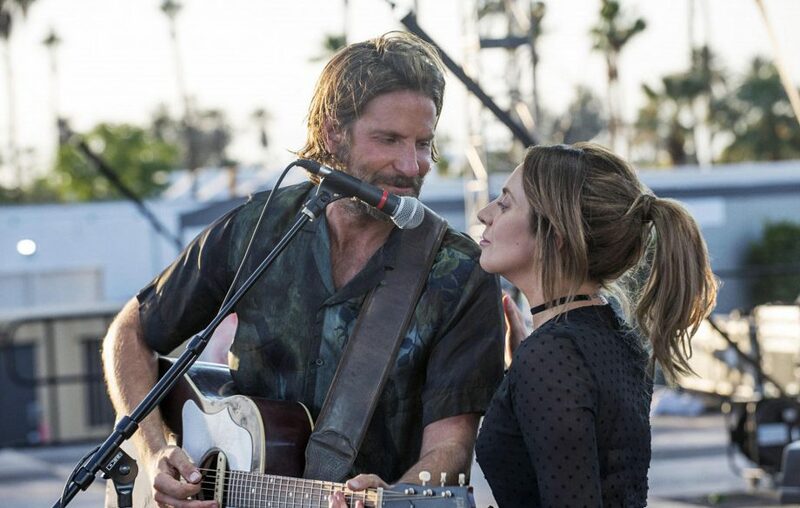 Reactions: I had the Dolly Parton song from Dumplin’ over Buster Scruggs, but I’m glad that I was wrong. That is an inspired choice, and if I had known that the Academy would actually consider the movie a movie, I would have predicted that. Lady Gaga has this one wrapped up, though. Reactions: The best score in years got snubbed, which is of course First Man. It is not too abnormal for them to overlook the best scores, but when it was the frontrunner going in, it makes no sense to throw in Mary Poppins. I got the rest of the category right, and now I have no idea what wins, so I’ll go with Alexandre Desplat. Reactions: The favorite had been Won’t You Be My Neighbor?, but this category is always a little weird like that. The best docs are always ignored. I had that and Three Identical Strangers in over Hale County and Of Fathers and Sons. Now, we have a wide open race. I’ll go with my favorite for now. Reactions: I said that Shoplifters would get snubbed because they usually overlook the Cannes winners. I had Burning and The Guilty in over that and Capernaum. You would think that Roma has this, but when a movie is contending for Best Picture, it sometimes is given to something else. Cold War has the directing nomination. This is so weird. Those should almost have been eliminated like The Diving Bell and the Butterfly was, for example. That way we’re not left with Pan’s Labyrinth losing to The Lives of Others. Reactions: I took the obscure animation stab of Tito and the Birds to get in over Ralph. How much do they love Marvel? More than Pixar? More than Wes Anderson? I’m not completely convinced. Stay tuned for our 11th Annual Oscar Challenge! Labels: 2019 Oscar nominations announcement, Black Panther Oscars, Kumail Nanjiani, Oscar nominations 2019, Oscar predictions, Oscar reactions, Oscar snubs, Won't You Be My Neighbor? On January 22nd, the worlds of film and sports come together in a way they rarely do. Early in the morning next Tuesday, we will finally find out what films will be up for the big awards at the Oscars. 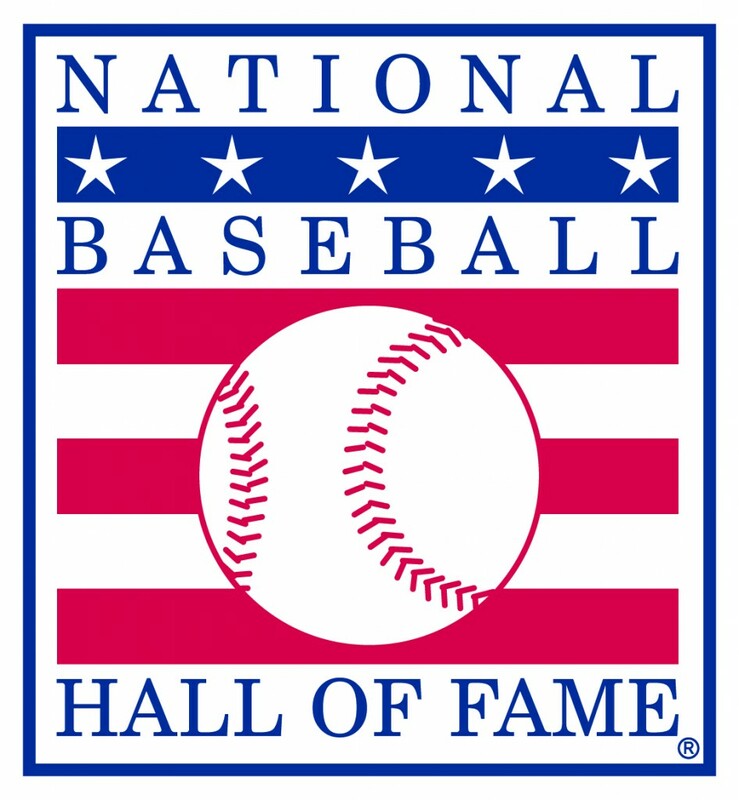 Later on that day, an equally big announcement will be made as the newest class into the Baseball Hall of Fame will be announced. Todd talks a lot about the Oscars and who will win and be nominated. I am much more fascinated by the process of determining who makes it to Cooperstown. 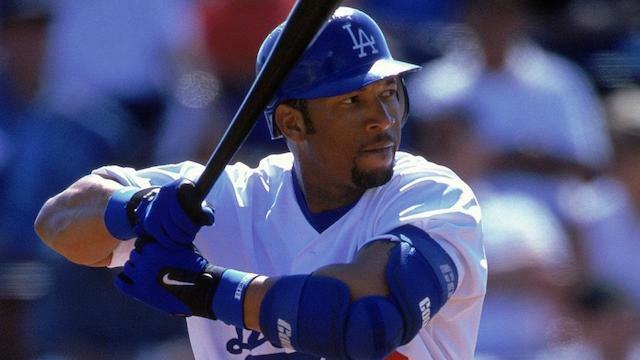 Let's review what makes a Hall of Famer. The baseball writers vote for the Hall of Fame. Once players have been retired for more than 5 years, they are eligible to be on the ballot. 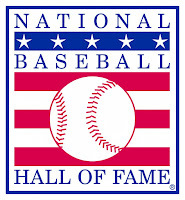 In order to make the Hall of Fame, a player must be present on 75% of the ballots. In order to stay on the ballot for next year's vote, a player must be present on at least 5% of the ballots. Those that receive less fall off the ballot and will no longer be considered. Each ballot can only vote for 10 players, which makes this process extremely difficult and controversial. The Hall of Fame ballot the last few years has been bogged down with a large number of players that were either accused of or suspended for PED use. Many voters refuse to vote for anyone related to steroids. Some vote for them regardless. What this has done is left some no-doubt Hall of Famers stuck on the ballot taking up votes so that others do not get the consideration they deserve. Each year, I try to put together what my ballot would be if I had a vote, and each year I look at my ballot a little differently. One of the thoughts that went into my ballot this year is I wanted to vote for some guys that risk falling off the ballot if they do not get some votes. Second, I avoided the PED guys, not because I don't think they belong in but because they are not getting in, and I want to vote for other guys. Third, limiting it to 10 players is an insane restriction with this ballot, and anyone who votes for less than 10 is insane. 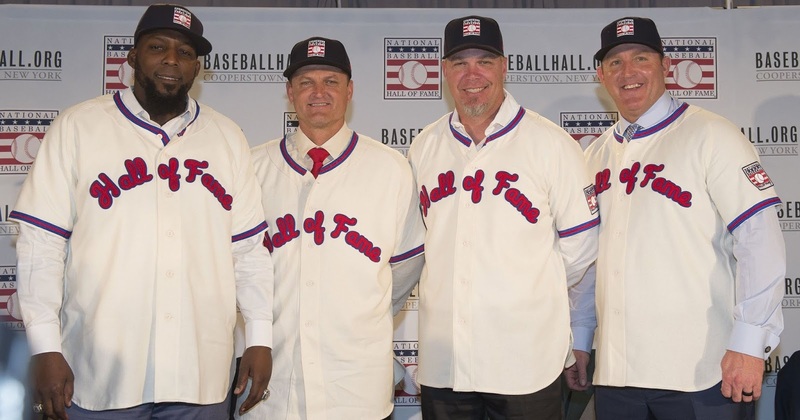 Two members of the Hall of Fame class have already been determined as the Veterans Committee voted in Lee Smith and Harold Baines. Smith is one that almost made it on the regular ballot. Baines is definitely a controversial choice though. He has the utmost respect of his peers, which is why the Veterans Committee voted him in, but his numbers are less than the high bar the Hall of Fame has set. 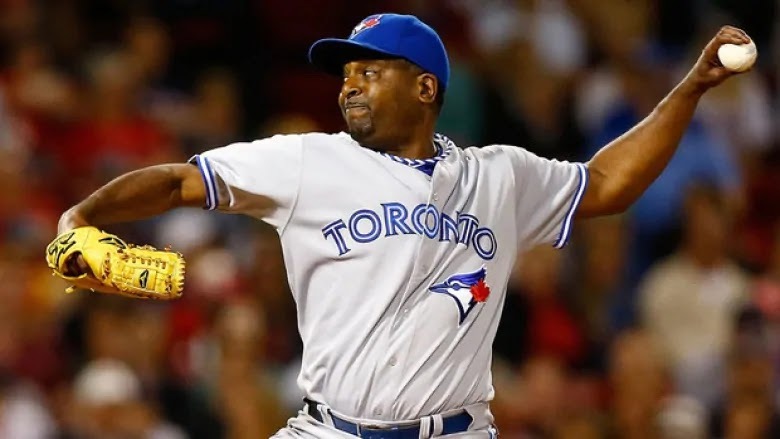 Many have stated that if Baines is now in, it opens the door for many more players that were originally thought to not be Hall of Fame worthy. One of my favorite parts of this exercise is the walk down memory lane I get from looking at who is now eligible to be on the ballot. So here is the ballot, my honorable mentions, and my honored 10. Sosa is never going to make it on the regular ballot with these numbers. Steroids definitely hampered his chances ... about as much as they helped his numbers. Sheffield was one of the most intimidating hitters of his generation, but the PED suspicion has really affected his candidacy as well. Unlike the first two, Manny was actually suspended multiple times for PED use, yet almost one fourth of the voters put him on their ballot last year. It shows just how good he was. I wish I could fit him on too. A great performance on the first ballot last year for possibly the best defensive player of all time. He has a great shot at eventually making it to Cooperstown before his 10 years are up. 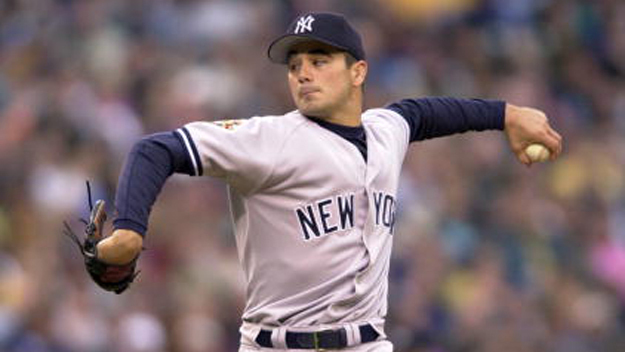 One of the greatest postseason performers of all time, Pettitte would easily make the Hall if he hadn't gotten caught up in Roger Clemens and the PED's. Players like this are what the Hall of Fame ballot is all about. 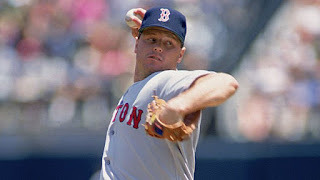 The lefty specialist was a mainstay in the big leagues for about 20 seasons. Making this ballot is his reward for a career well done. Few pitchers have had the success Lowe had both in the rotation and out of the bullpen. 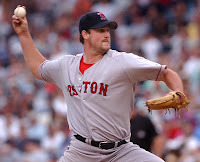 He was an important part of some great years in Boston, and a part of one of the most lopsided trades in baseball history (thanks Seattle). At his best, he was dominant. At his worst, he was effective. History might remember him most as being the pitcher who got the last out in the crazy All Star Game tie. 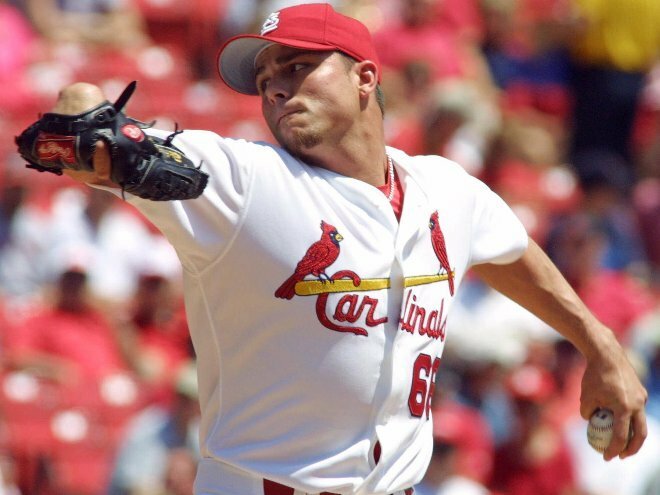 Similar to Garcia, his peak was dominant, but it wasn't that long. One of the more likable players of his generation. He never was dominant but was solid for a decade. He was one of the more unique players of the 2000's. Sabermetrics would have loved him. 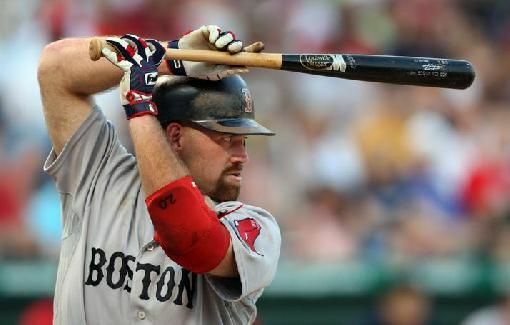 Youkilis was an old school player that the new school stats loved. He might get a vote or two. Young was one of the most underrated players for a decade, playing every position around the Rangers' infield. 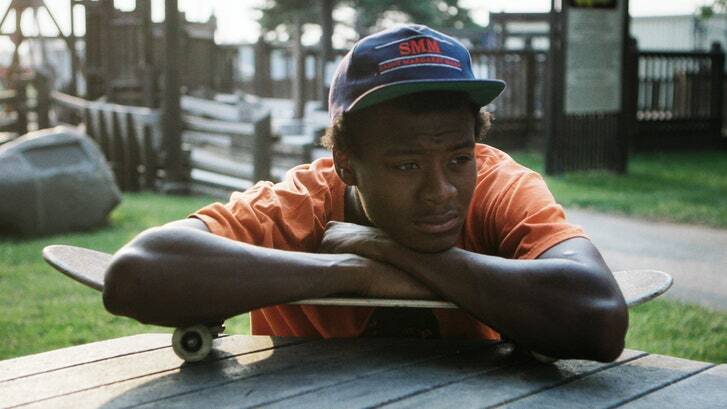 He never had a set spot, but was great everywhere he was. Another PED-clouded career, Tejada won an MVP and was one of the best shortstops in an era of elite shortstops. He has a chance of being the latest player to clog up the ballot for the next 10 years. 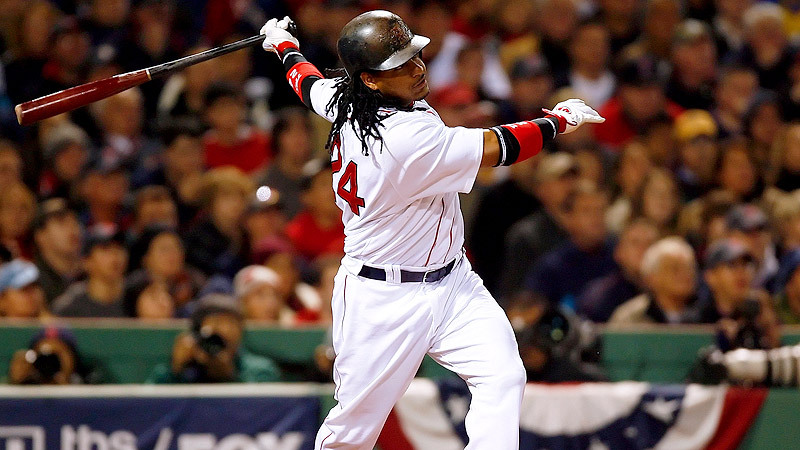 Another greatly underrated player throughout his career, his WAR7 (WAR total for his best 7 year span) is better than Youkilis and almost as high as Tejada. He has no shot of making the Hall, but it is good to remember his career. One of the best stories in baseball history, he went from phenom ace pitcher to chronically wild to out of baseball to working his way back to big leagues as an outfielder to being a solid big league hitter for awhile. What a wild ride! Another I wish I could vote for, Oswalt's peak was better than almost anyone on this ballot (WAR7 was better than Manny). 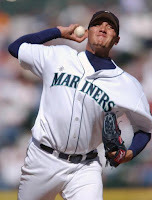 His career fell off pretty drastically at the end of his career, but his changeup was one of the best I have ever seen. The definition of a crafty lefty, Lilly was a solid starter for a long time. Never was elite, but no one ever wanted to face him. One of the most physically imposing hitters of his generation, the DH was always hampered by injuries throughout his time in the league. When he was healthy, he hit the ball a long way. The start of his career may have been on a Cooperstown track, but when he had a potential for superstardom he turned into a solid contributor never reaching the heights his potential showed. 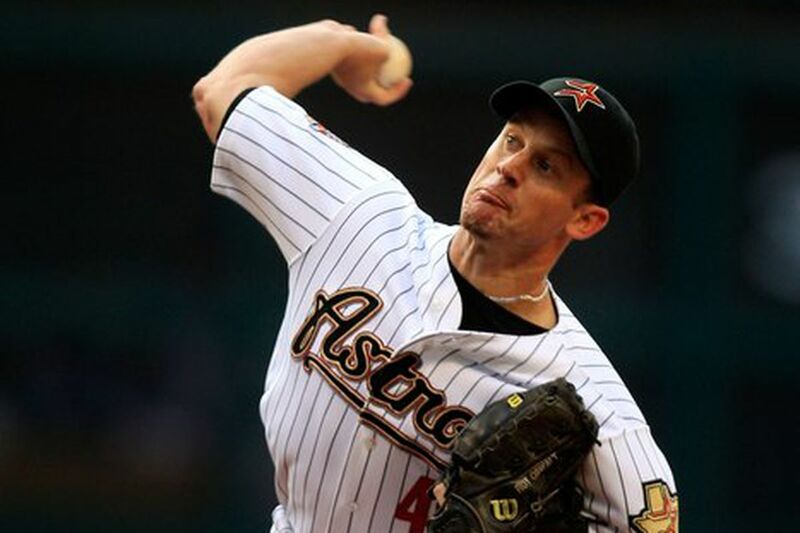 I am a huge fan of Billy Wagner and think he deserves much more consideration than he is getting. He was just as dominant as a guy like Trevor Hoffman, who made the Hall last year. I just ran out of room. His numbers boggle me every year. 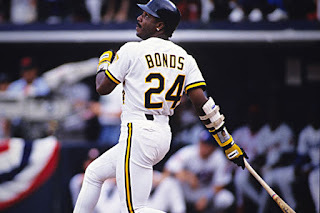 The best offensive second baseman of all time seems to have no chance of making it to Cooperstown. Even though he had no connection to PED's, I think the fact that his career numbers are compared to his PED peers hurt his candidacy. Bonds belongs in the Hall. I don't care what he did or how he cheated, that kind of dominance belongs in Cooperstown. His votes have continued to improve each year, but I don't know if he is ever getting there. Obviously, most voters lump Bonds and Clemens together. Almost the same amount of votes, and almost the same amount of dominance. If one gets in, the other will get in. This is his last year on the ballot, and there has been a major push for him to get more consideration. I think his candidacy was helped more than anyone by the election of Harold Baines. McGriff was a great power hitter of his time and might get in with the Veterans Committee, but he won't get to 75% this year. I tried really hard to fit him on my ballot, but he just missed. This might be a surprising pick, but it is very easy to forget how great he was. He had a career OPS+ of 144, which is 4th on this year's ballot only to Bonds, Manny, and Edgar. 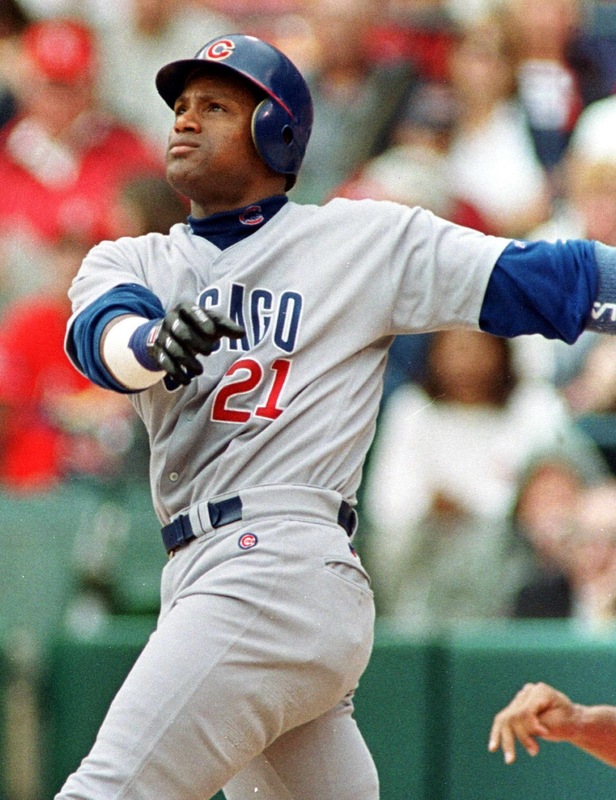 He was a much better hitter than people give him credit for (a switch hitter at that). 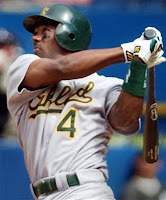 He played all over the field throughout his career too, getting time at all three outfield positions and first base. This is a vote I am casting to make sure he gets more consideration. I am not 100% convinced he is a Hall of Famer, but he is much closer to being a Hall of Famer than some people may think. Every year there is a no doubter entering the ballot. 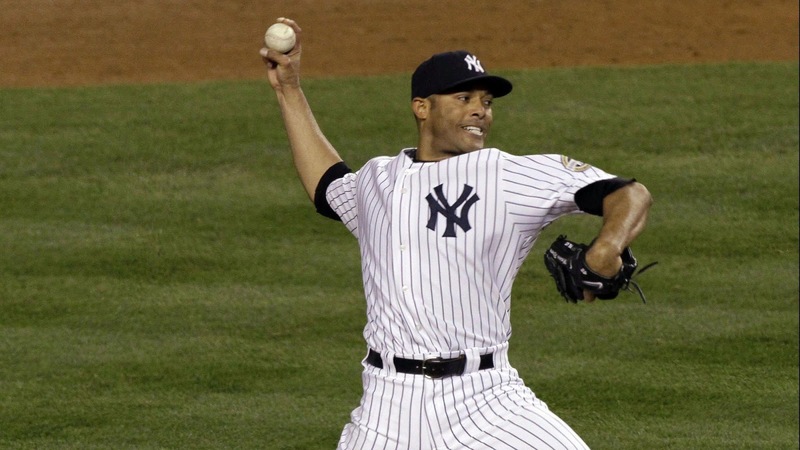 Is there a obvious choice for the Hall of Fame than Mariano Rivera? The question hasn't been, "Will he make it?" It has been, "Will he be unanimous?" Well, no one has been unanimous and Mo won't be either. A handful of voters still don't think closers are real baseball players. However, it is rare you get to see someone that is the best to ever do what he did. That was Rivera. Helping his legacy is the fact that he was even better in the playoffs than he was in the regular season, which is saying something. 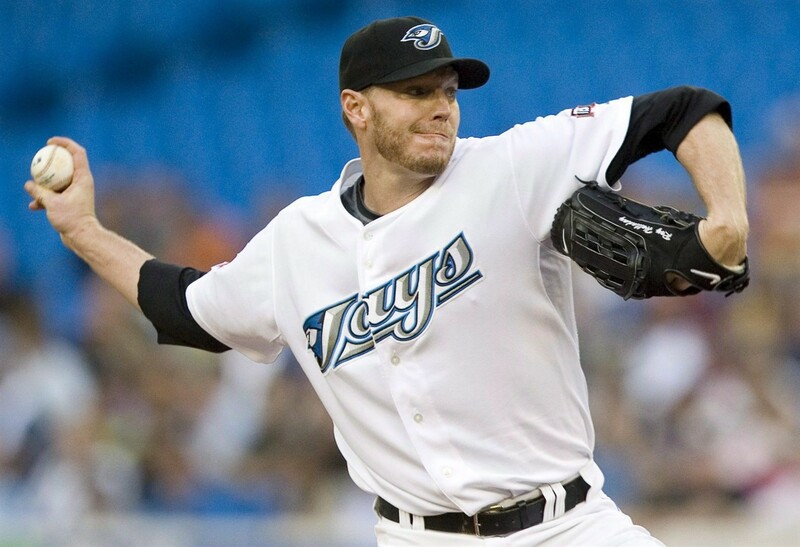 There was an 8 year stretch where you could easily say Roy Halladay was one of the top two or three pitchers in all of baseball. 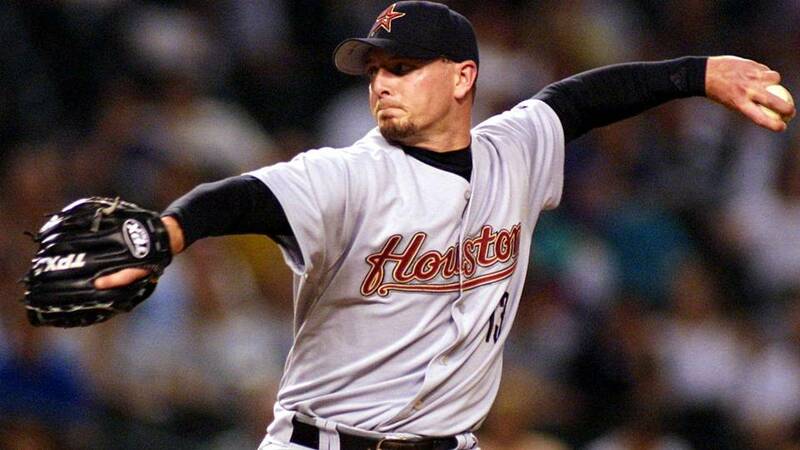 He won the Cy Young twice, finished 2nd twice, and finished 3rd once. 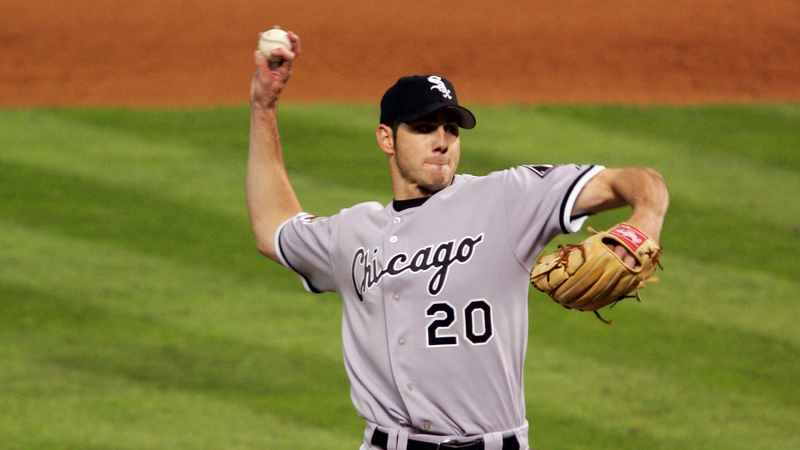 He is one of only two pitchers to ever throw a no hitter in the postseason. Some have questioned his candidacy, but he has always passed the eye test of what a Hall of Famer looks like for me. I think it is safe to say his candidacy is being aided by his tragic death in November 2017. That will be an emotional moment in Cooperstown if he does indeed make it. 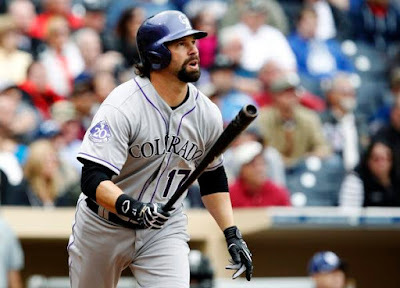 Another one to pass my eye test of what a Hall of Famer looks like, Todd Helton deserves to make it. 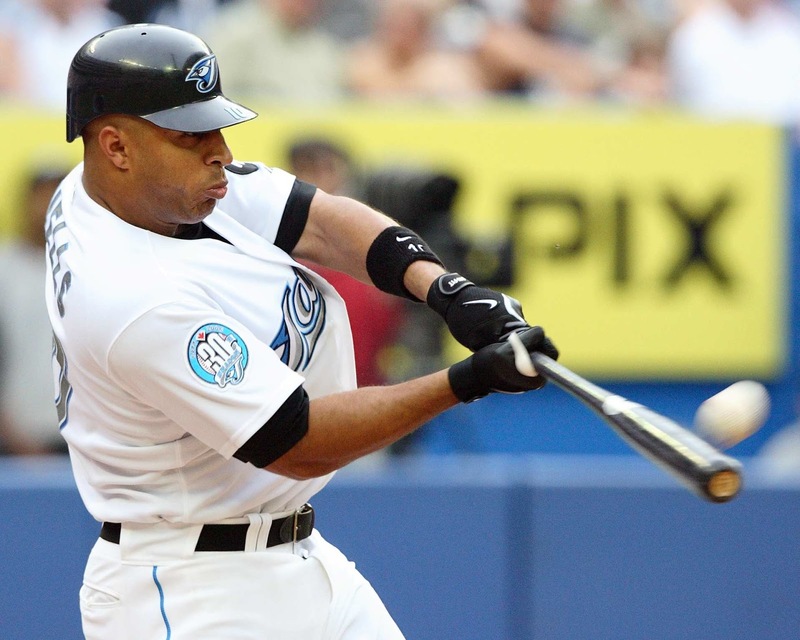 He was one of the most consistent hitters for over a decade, winning the batting title in 2000 with a .372 average. 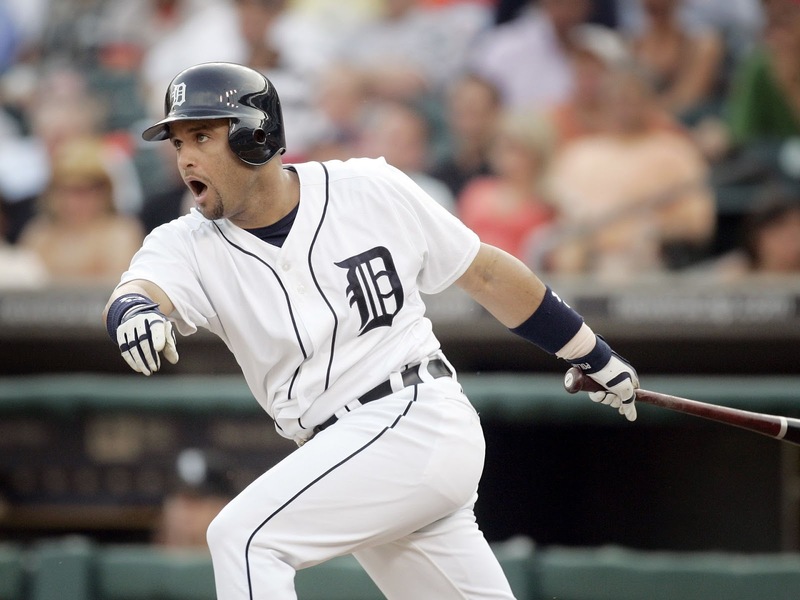 He is one of only 18 hitters to have a career .300 average, .400 OBP, and .500 slugging percentage. This group includes names that are considered the greatest hitters of all time like Babe Ruth, Lou Gehrig, Ty Cobb, Stan Musial, Ted Williams, and Frank Thomas. Every member of this list that is eligible for the Hall (sorry Shoeless Joe) is either in or currently on the ballot. There is only one reason his induction is questioned. He played in Denver. There is such a stigma against players that hit in Colorado that no Rockies hitter has ever been inducted to Cooperstown. Helton will be the ultimate test of this discrimination. He played his whole 17 year career in Colorado, put up the numbers he did, and made 5 All Star teams. His .953 OPS ranks 4th on the current ballot behind Bonds, Manny, and Larry Walker. However, he ranks 9th in OPS+ which takes ballpark into account, putting him a point behind Travis Hafner. I think he needs to be in, and he might eventually, but he won't be a first ballot guy. 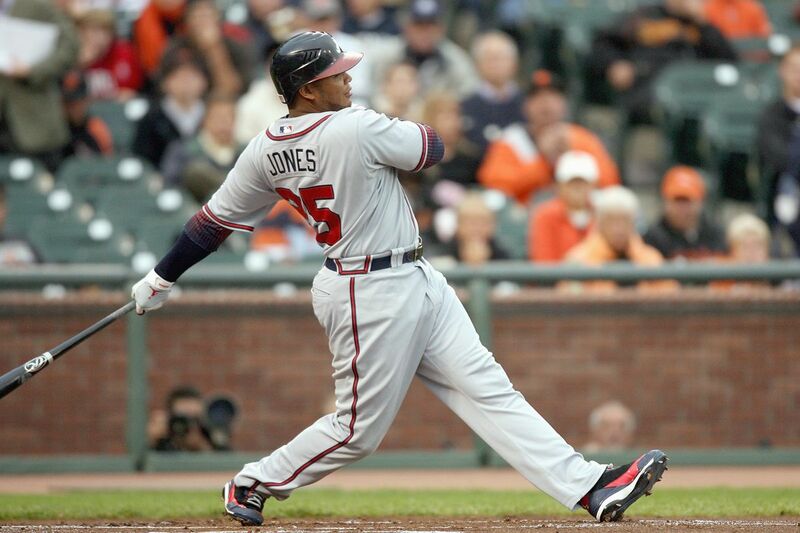 Last year, I had Andruw Jones on my Honorable Mentions, but I took a closer look at his numbers. 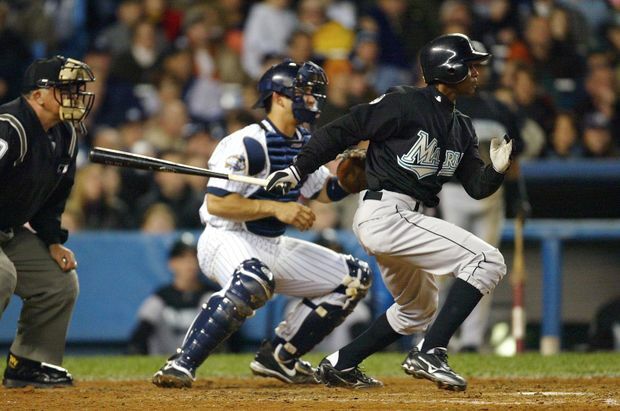 Over a 17 year career, Jones made 5 All Star teams, led the league in home runs and RBI's in 2005, and had some pretty great postseason heroics. However, his calling card was his defense. He was a 10 time Gold Glove centerfielder and should be remembered as one of the greatest defensive centerfielders in league history. His defense puts him in the top 10 of this ballot in career WAR (a list still including the un-electable Bonds, Clemens, and Manny) and in the top 5 in WAR7 (behind Bonds, Clemens, Halladay, and Schilling). That means his peak years were pretty legendary. 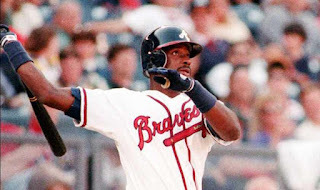 I think his longevity has hurt his legacy because everyone just remembers the aging slugger he was near the end and not the all-world talent he was with the Braves. If nothing else, he needs to stay on this ballot. I really didn't think I would be in the minority when I put Scott Rolen on my ballot last year. To me, he is definitely a Hall of Famer. A 7-time All Star and 8-time Gold Glove winner over a 17 year career, his is one of the best combinations of power and defense third base has seen. The only knock on him was injuries, which occurred somewhat frequently. 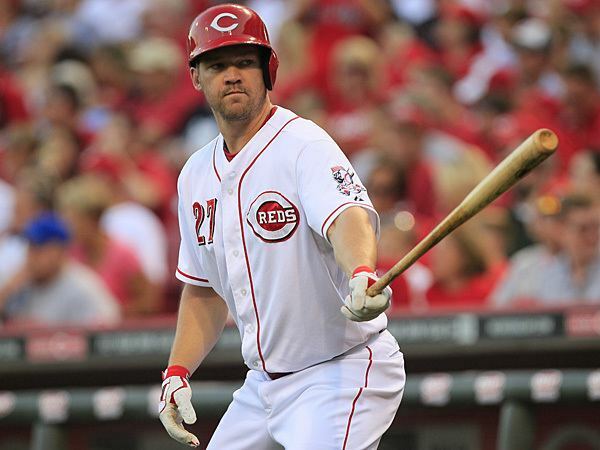 Rolen ranks 10th in career WAR among third basemen and 15th in home runs (one behind Hall of Famer George Brett). With all the attention that Adrian Beltre is getting this year for being a future Hall of Famer as he retires, Rolen should be getting similar consideration. 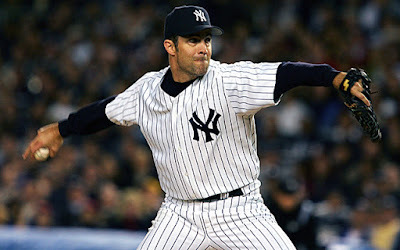 Mussina seems to be trending in the right direction. I have spelled out his candidacy in detail in other write-ups I have done. Basically, he was an elite pitcher in one of the most competitive divisions in baseball full of hitter-friendly ballparks. His stats are almost identical to many Hall of Famers, including another Oriole great in Jim Palmer. Mussina may have never been the best pitcher in baseball, but he was a top 10-15 pitcher his entire career and a model of consistency. This one I don't understand. Halladay is projecting to get into Cooperstown in his first year or two on the ballot, however Curt Schilling seems stuck even though they had similar careers. WAR7 - Halladay: 50.6, Schilling: 48.7, Wins - Halladay: 203, Schilling 216, ERA - Halladay: 3.38, Schilling: 3.46, ERA+ - Halladay: 131, Schilling: 127, WHIP - Halladay: 1.178, Schilling: 1.137. The one difference in their numbers is strikeouts where Schilling is at 3116 and Halladay is almost exactly 1000 less at 2117. 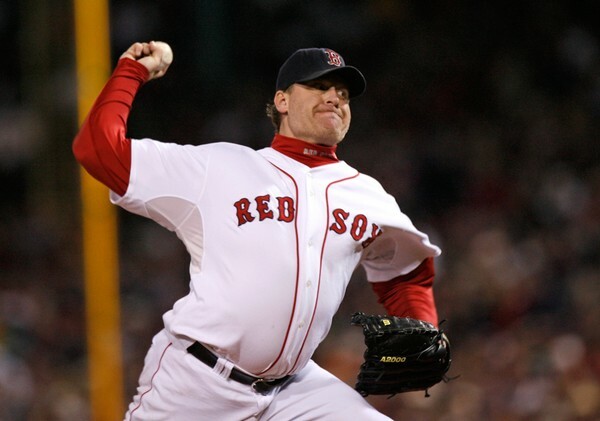 Add to that Schilling's playoff heroics (bloody sock), and there is no reason he should be missing the Hall of Fame. The reason he isn't in? Comments he has made as part of the media after his career was over have been controversial to say the least. This isn't fair to the player, the history of the game, and the integrity of the Hall of Fame process. Cheating? Sure, keep him out. You don't like him? That's not a good enough reason. Yet another candidate I don't understand. 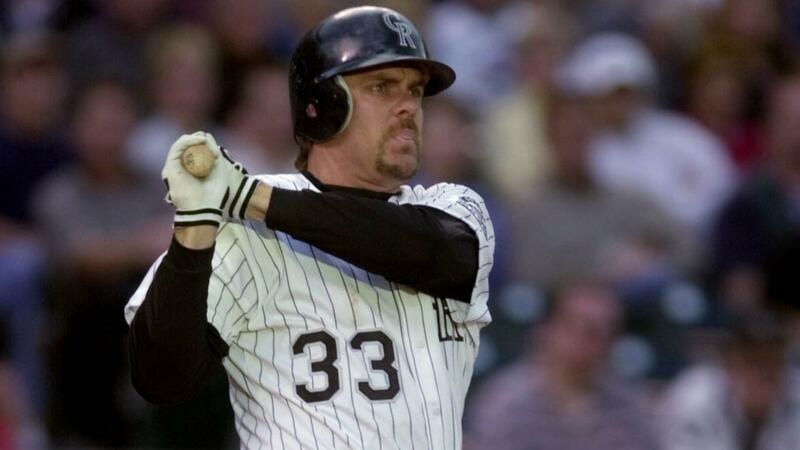 How is Larry Walker not in the Hall of Fame? The reason is because a little over half his career (his prime years) were spent in Colorado. Both Walker and Helton belong in the Hall. 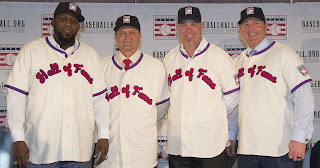 You can't just say Colorado hitters can't make the Hall of Fame. If that is the case, we should start letting average Rockies pitchers in the Hall. (Anyone else want to discuss the Hall of Fame candidacy of Mike Hampton, Jeff Francis, or Ubaldo Jimenez?) 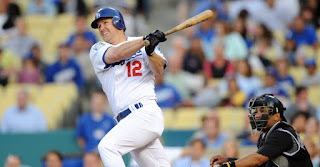 Walker was one of the greatest hitters over the late 90's and early 00's. He was a 5-time All Star, 3-time Silver Slugger, 3-time batting champ, 1997 NL MVP, and a 7-time Gold Glove winner. Walker is also on that exclusive .300/.400/.500 list with Todd Helton. 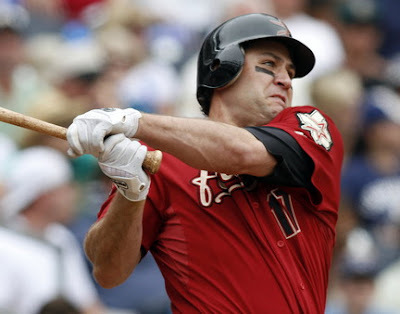 He is 5th on the ballot in WAR behind Bonds, Clemens, Mussina, and Schilling, and 7th in WAR7. He is 3rd in OPS behind Bonds and Manny, and 5th in OPS+ behind Bonds, Manny, Edgar, and Berkman. Remember, OPS+ takes where you play into account. McGriff ranks 7th in OPS+. Anyone banging the McGriff drum better also be voting for Larry Walker. Now for the one nearest and dearest to me, as well as the most intriguing player on this ballot. This is Edgar's last year on the Hall of Fame ballot and he only needs another 5% to make it in. His hitting prowess is easily Hall of Fame. 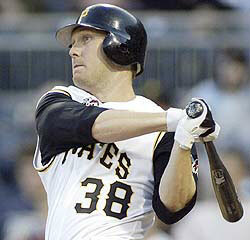 He is another member of the .300/.400/.500 club, joining Helton and Walker. 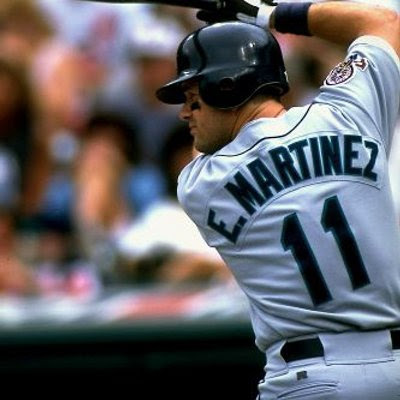 More importantly, ask any of his peers and Edgar is easily a Hall of Famer as he was one of the greatest pure hitters of his generation. The reason he hasn't made it yet, and still might not get in is because he spent almost his entire career as a designated hitter. Some voters say he cannot make the Hall because he only played half the game. Well, they don't punish American League pitchers for not hitting. They have started to let in closers. Most importantly, Harold Baines was primarily a designated hitter and is now in. Also, in a few short years, David Ortiz will be a first-ballot Hall of Famer even though he spent his whole career as a DH too. You can't say a DH can't make the Hall, then put several DH's in the Hall. I guess a consolation is he will easily get in with the Veterans Committee if he doesn't get the votes this year. That is who I would vote for. Try to put together your own ballot. It is a difficult yet fascinating exercise. Now, let's talk about who will get in. With some prognosticators that track writers who make their ballots public, we have a better picture of how the vote is going to go. Looking at those numbers and how they adjust when all ballots are counted, it looks to be a fun and emotional summer in Cooperstown. Here are my predicted 2019 class.